Also I should mention that these photos were taken in the hotel room in the Sanderson that Karl and I stayed in at London over the weekend thanks to my competition with Next. As you can see the room was absolutely stunning with crisp white decor and voiles rather than doors; I didn't want to leave! 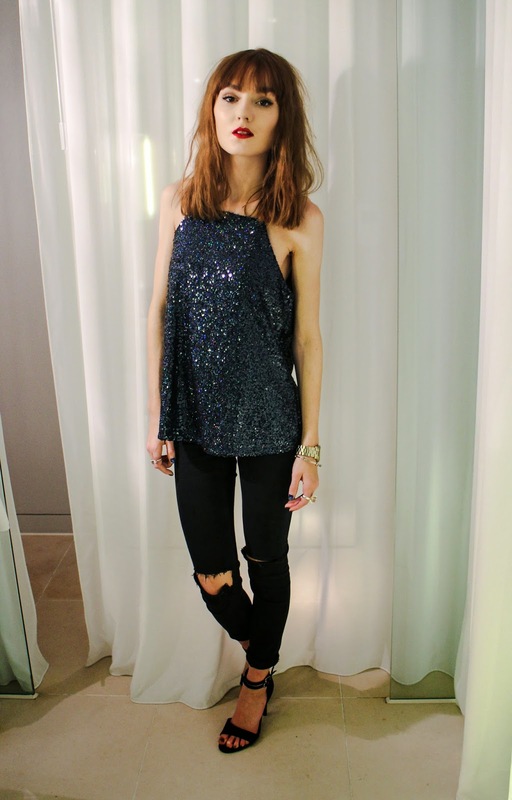 you look gorgeous, I love the sequin top - it looks so elegant! 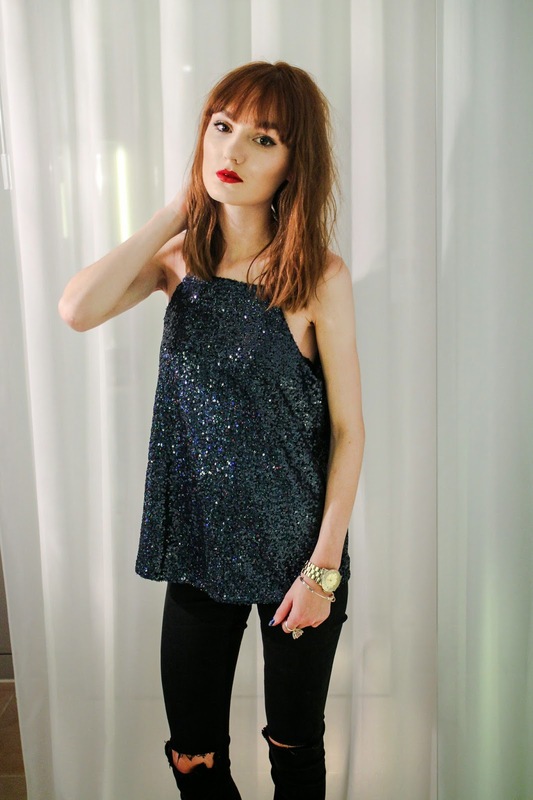 The neckline on that top is gorgeous and I just love a bit of glitter and sequins :) you look lovely! obsessed with your top! looking so pretty too! I like the outfit, the top is gorgeous! Your top literally looks like something pulled from space - its so intergalactic and pretty. Love the colour of the top and the sequins look so beautiful. The hotel room looks amazing too! You look amazing, stunning pictures, that hotel room is perfect hehe! Beautiful photos! Love the backdrop. Seems like a really nice hotel! <3 The outfit is gorgeous like always. The entire outfit is so gorgeous, but I must say that that top is amazing! A little sparkle is always welcome and can make an outfit really pop! 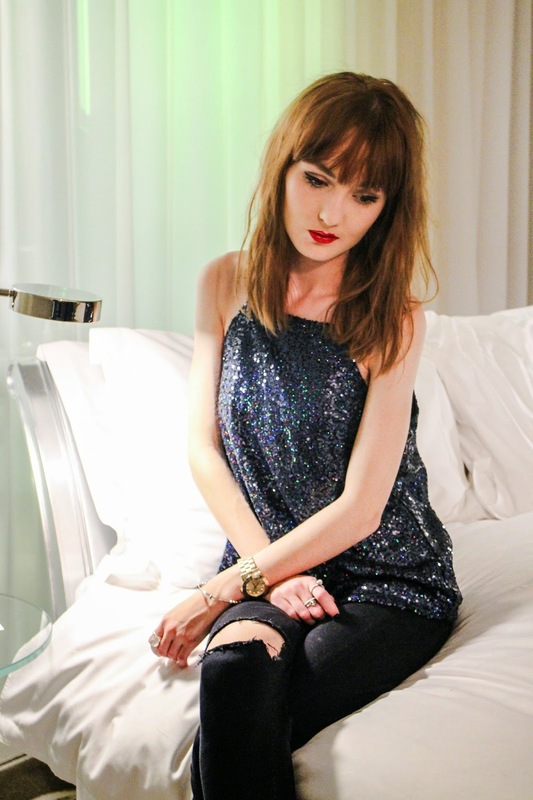 This is such a lovely top, perfect for the upcoming Christmas parties! Need this top in my life, you look stunning in it! These photos are lovely Amy and you look absolutely gorgeous! 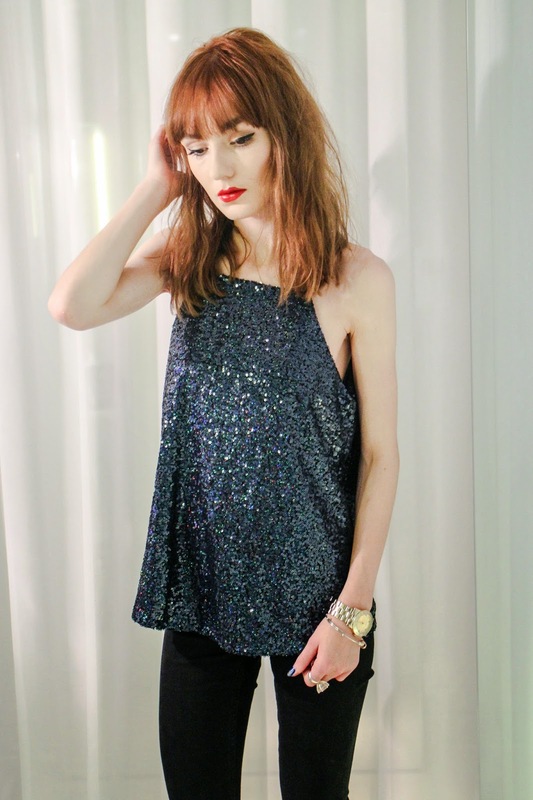 Adore that sequin top. I'm so glad that I found your blog, its lovely. Also I noticed your gorgeous hair color. For a few months, I deeply want to dye my hair in your color. Can you please tell me which color you use ? Beautiful look :) hope you have a fab weekend! You look too stunning! The I love the top so much. I suddenly feel very devastated that I do not own a sequinned top. I must acquire one immediately! Love your jeans, these photos are amazing by the way! 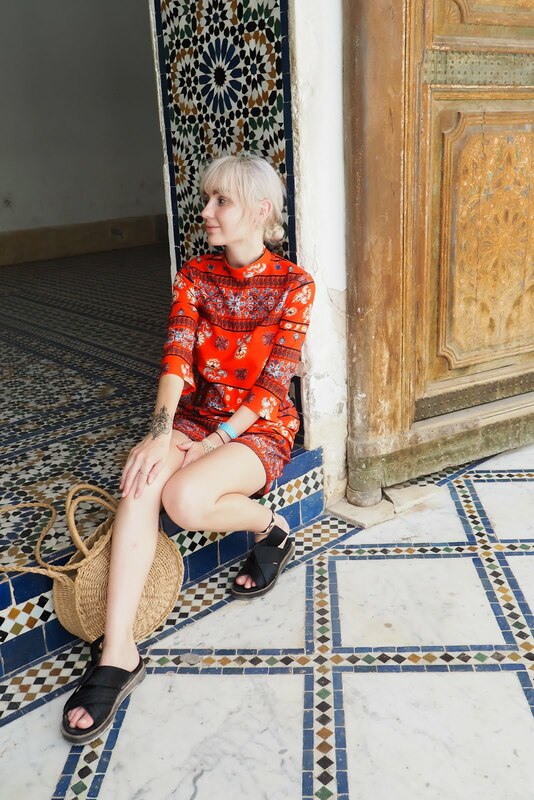 Really gorgeous outfit! Love the cami, very festive. Lovely outfit - obsessed with that top! Beautiful! 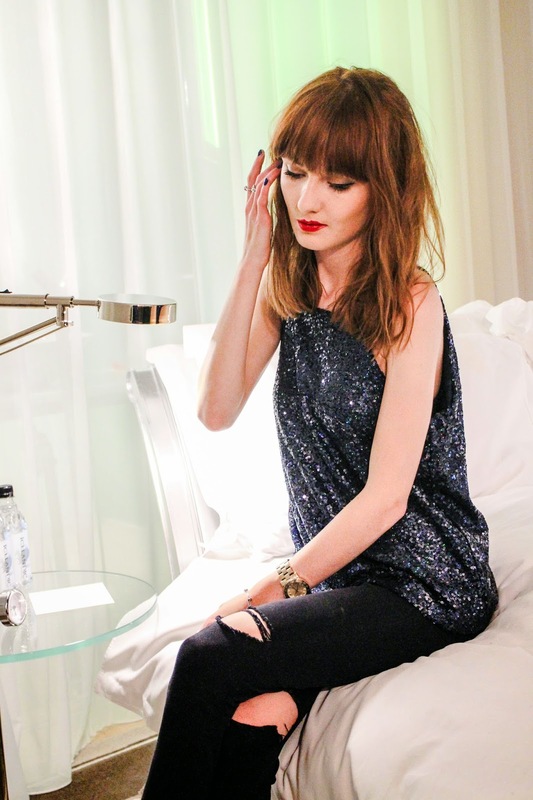 I would of never thought to style ripped jeans with sequins. Absolutely in love! Love this top - it's so pretty. I'm such a magpie for sparkle! You look absolutely stunning! 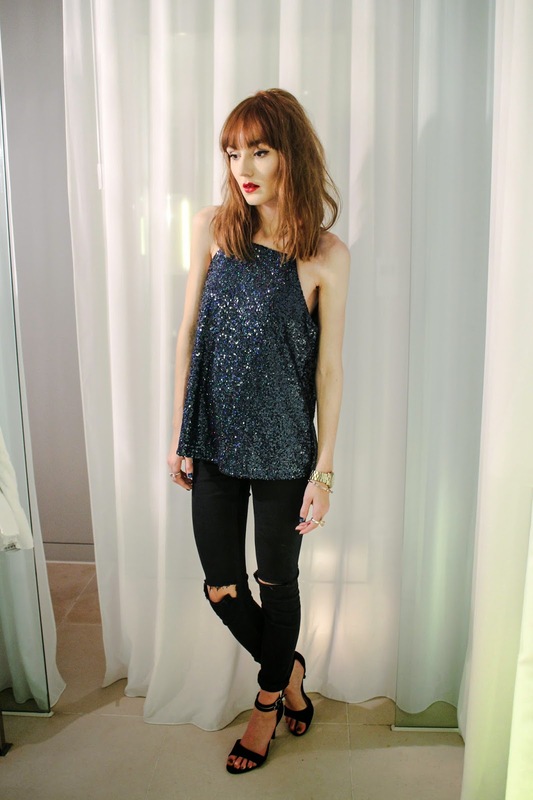 Love the sequin top. your top is amazing! 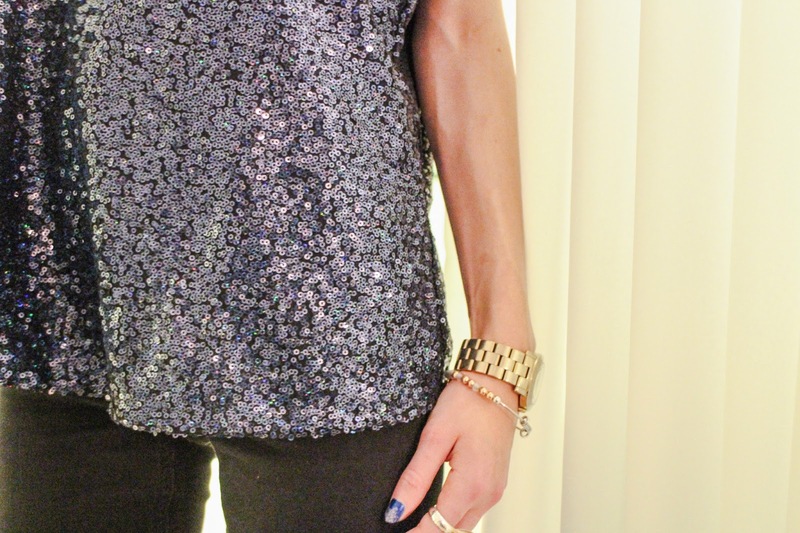 A little sparkle is always welcome and can make an outfit really pop!